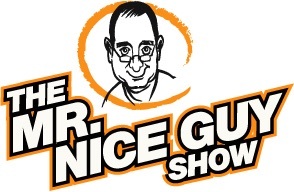 Reviews For The Mr. Nice Guy Show! In the tradition of George Carlin, Lewis Black and many other comedians we love, Marv points out the foibles and foolishness in our society, helps us laugh at them, and learn from them. Some people don't get it; those who do are fortunate. This show is a gem. My only criticism is that they are too short. I love listening to these! Marv has never sounded better....TRUST ME! Despite his upbeat manner, Marv isn't really a nice guy. Most of his broadcasts are bitter rantings about almost everything. . . Celebrities, various airlines, cities he wasn't successful in while broadcasting, google, microsoft, popular culture, broadcast radio itself, almost everything really. The only two topics he doesn't complain about (and actually praises) are libraries and podcasting itself. Actually kind of sad when you "listen between the lines": he failed at being a DJ, went from city to city. Gave up and became a librarian in the midwest. Single, never married, no children, doesn't date. A sad, lonely guy who complains about almost everything. He needs to get. . . a girlfriend. Still. . . . there's something about him so I keep listening. He kind of grows on you. A very intelligent and interesting podcast by an articulate and engaging presenter. The way radio, and podcasting for that matter, should be!